(Portland, OR, April 21, 2014) -- In a nationwide effort to clear homes of potentially dangerous, expired, unused and unwanted prescription drugs, RegenceRx is supporting the Drug Enforcement Administration’s (DEA) National Prescription Drug Take-Back Day taking place this Saturday, April 26. According to the Centers for Disease Control and Prevention (CDC), deaths from prescription drug overdoses have reached epidemic levels in the United States. The national take-back effort seeks to raise awareness and reduce prescription drug abuse in our local communities by offering individuals and families a trouble-free and environmentally friendly way to rid their homes of unwanted prescriptions. Prescription medications are often found in home medicine cabinets, making it too easy for them to get in the wrong hands. In fact, according to the Partnership at Drugfree.org, more than four in ten teens who have misused or abused a prescription drug obtained it from their parents’ medicine cabinet. Easier access to prescription drugs has contributed to drug overdoses becoming the leading cause of injury death in the United States. Unfortunately, oftentimes when prescription drugs are disposed of, they are frequently flushed or thrown in the trash, which can pose additional safety risks to individuals and the environment. "Unused or expired medications pose safety risks to consumers and their families that they may not be aware of. 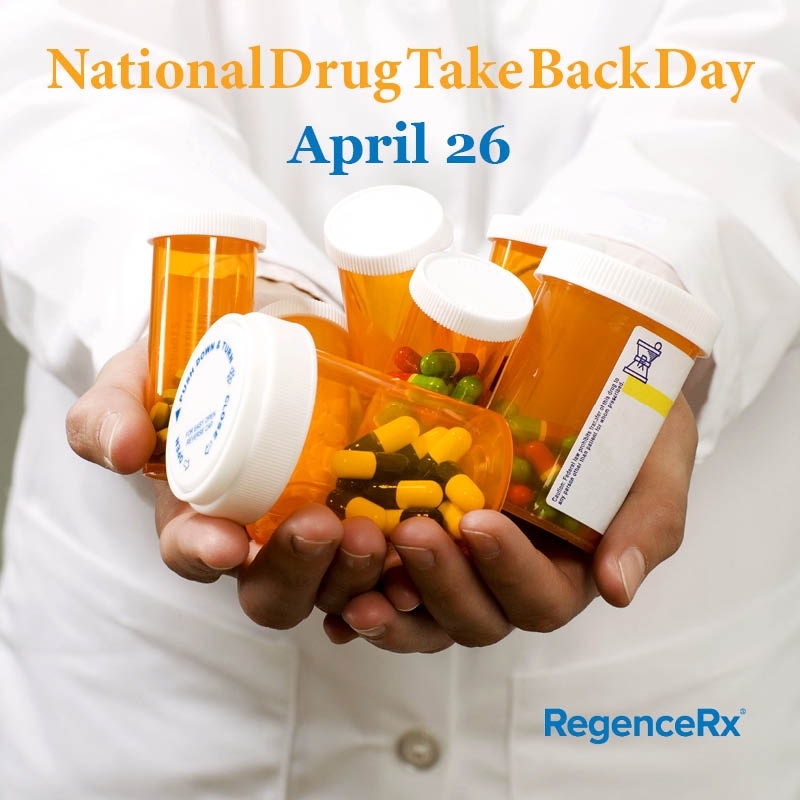 RegenceRx is supporting in Drug Take-Back Day to help increase awareness of these dangers and encourage consumers to protect themselves and their families by disposing of unwanted, unused or expired medications on a regular basis," said Raulo Frear, Pharm.D., general manager of RegenceRx. This Saturday, from 10 a.m. to 2 p.m., RegenceRx encourages its members and local residents to help curb prescription drug abuse and misuse by dropping off their unwanted or expired prescriptions at various sites across Oregon, Washington, Utah and Idaho. Take-Back Day participants will also help protect their local agriculture and water supply as all drugs collected at Take-Back sites will be disposed of properly by local law enforcement or DEA officials. According to the CDC, nonmedical use of prescription painkillers costs health insurers up to $72.5 billion annually in direct health care costs. RegenceRx is committed to reducing the number of individuals who misuse, abuse or overdose from prescription drugs, while making sure that RegenceRx customers have access to safe and effective treatment. The PBM provides members with several medication management programs designed to ensure that members use medications safely and appropriately, including sleep and narcotic pain medications. For more information about National Prescription Drug Take-Back Day and to locate a collection site, consumers can visit www.dea.gov and click on “Got Drugs?” and enter their zip code. Take-Back day is free and anonymous. The mission of Regence Rx is to ensure that members have affordable coverage for prescription medications. The company is distinguished by its focus on clinical evidence to build its formulary, and its focus on lowest net costs has helped reduce the cost of prescription medications for Regence Rx and their members. Regence Rx currently provides PBM services for more than 1.2 million members of Regence health plans in Oregon, Washington, Idaho and Utah. In addition, over 7.7 million members from other Blue Cross and Blue Shield and Medicaid plans trust Regence Rx to provide clinical and contracting support.